MIAMI MIAMI MIAMI!!! 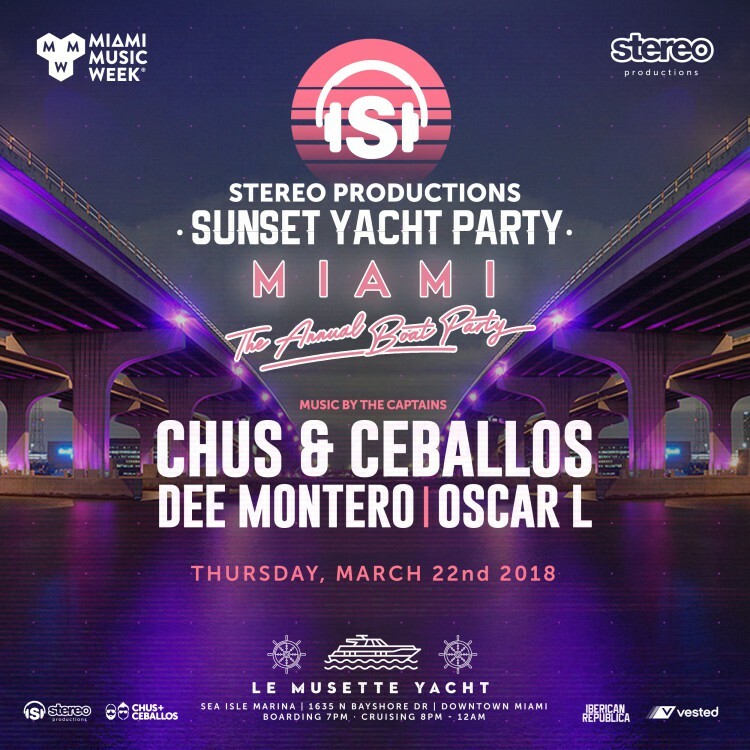 This is one of the parties you can't miss during Miami Music Week 2018: our Annual Stereo Sunset Yacht Party. Join us on Thursday, March 22nd along with Dee Montero and Oscar L for an epic party! Get your tickets here.